Competitive pressure is mounting on Tesla—from its No. 1 supplier of lithium-ion cells. Competition was always going to be fierce in the promising European storage market. But it looks like it’s going to get a whole lot more intense now that Tesla’s No. 1 lithium-ion battery supplier, Panasonic, will soon be rolling out its own domestic unit in Germany and other European countries. Daniel Roca, senior business developer for Panasonic Eco Solutions Europe, was tight-lipped on the exact launch date and product details. However, he did provide some interesting bits of information on Panasonic’s future plans. First, Roca said Panasonic is already involved in the German domestic storage market as a supplier of battery modules to E3/DC, ABB and others, as well as a provider of battery management units. The world’s largest lithium-ion battery producer has already had some success with domestic energy storage units in its home market of Japan. However, the unit designed for Europe will be very different. 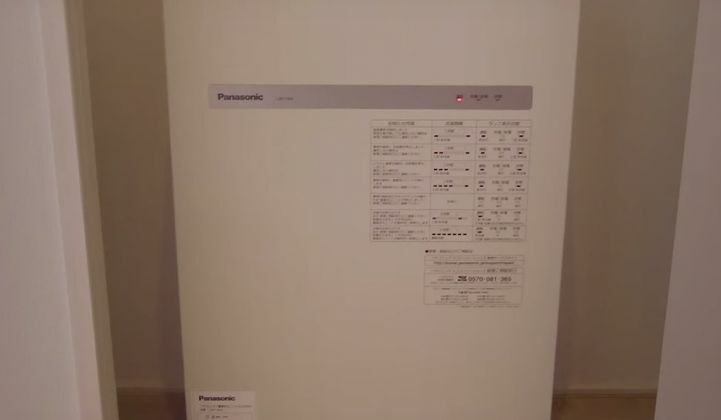 Roca confirmed the European storage units would be modeled on Panasonic’s Australian product, an 8-kilowatt-hour system that can be used with or without PV. It includes an inverter and an "energy logic" system that can communicate with the meter and any solar component, designed to provide a home with a constant voltage. There may be modifications based on the requirements of Panasonic’s sales partners -- a group of four utility companies whose identities remain secret. The device's configuration is different from that of the Powerwall, which is basically just a battery. According to Roca, Panasonic and Tesla aren’t in real competition at all, as they will be offering such different systems (a debatable distinction). This is the latest in series of challenges to Elon Musk’s ambitions in Europe. As GTM reported recently, the defection of Tesla’s head of operations in Germany to Sonnenbatterie signals an intention to challenge Tesla head-on in the region. Tesla has met the looming competition without much fanfare. “It’s great to see other companies investing in technologies that help us move away from fossil fuels to sustainable energy. Panasonic remains a valued partner," said spokesperson Alexis Georgeson. Georgeson also said that Tesla has seen a wave of preorders for its energy-storage system. In an effort to scale quickly, Tesla may not have much of a choice beyond Panasonic for supplying lithium-ion batteries. Germany is a strong market for a number of reasons. “The high installed base of solar PV, declining feed-in tariffs and rising electricity prices -- by as much as 5 percent a year in some areas -- means there is a significant amount of interest among German residential customers in installing storage for self-consumption of solar electricity. Germany is also furthest along in terms of renewable deployments in Europe," said GTM Research's Brett Simon. Panasonic has also said that France and the U.K. are target markets. There is one snag, however. The U.K. government would need to reverse its current controversial plans to slash solar feed-in tariffs. Panasonic is so convinced that such a cut would decimate solar -- and thus energy storage -- that the company has criticized the policy directly in a recent article in the liberal-leaning Guardian newspaper. It's yet another signal that the biggest names in storage are gunning for Tesla.